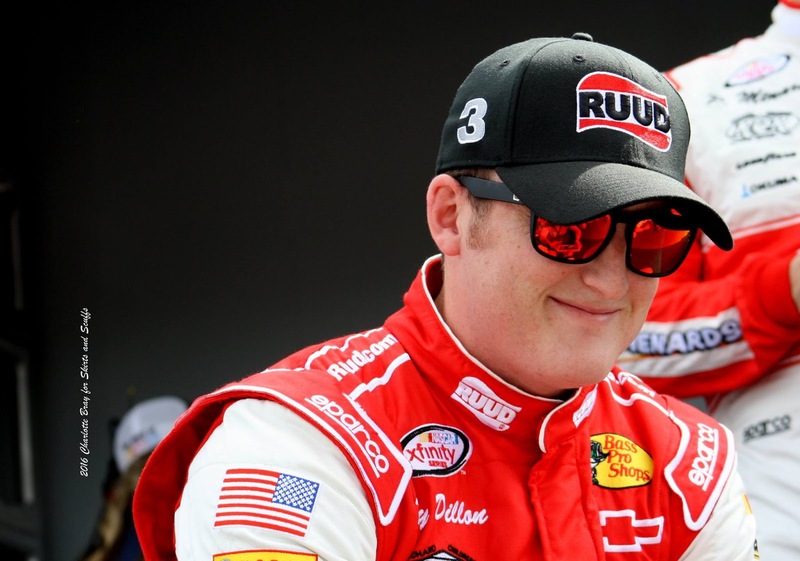 Ty Dillon, driver of Richard Childress Racing’s No. 3 Chevrolet Camaro in the Xfinity Series, has qualified for the inaugural Xfinity Series Chase for the Championship, following a season of 14 top-10 finishes in the regular season. Learn more about this third-generation driver in this week’s Fast Facts, originally published in Aug. 2012. Tyler Dillon was born Feb. 27, 1992 in Lewisville, NC. He is the grandson of Richard Childress, son of Mike Dillon (former Busch Series driver and current general manager for RCR) and brother of Cup Series driver Austin Dillon. Ty Dillon began his racing career in Bandoleros, moving up to the K&N Pro Series East in 2009. In 2010, Dillon spent time in the K&N Pro Series East and the ARCA Racing Series, winning in the K&N Series at Gresham Motorsports Park and twice in ARCA competition, at Kansas Speedway and Rockingham Speedway. Dillon moved to the ARCA Racing Series full-time in 2011. He won seven times and took home the championship in the series, but lost the Rookie of the Year battle to Chris Buescher by two points. After making his Truck Series debut in 2011, Dillon moved to the series full time in 2012, taking over his brother’s championship-winning ride from 2011, winning at Atlanta and winning Rookie of the Year. In 2013, he won at Kentucky and finished second in points. After making his debut in the series in 2012, Dillon moved to the Nationwide (now Xfinity) Series full time in 2014, once again replacing brother Austin. He won the race at Indianapolis Motor Speedway in July 2014, and finished second to Chase Elliott in the Rookie of the Year battle. In 2015, he finished third in points without a win. Dillon made his Cup Series debut at Atlanta in 2014, finishing 25th. In addition to RCR, he has also raced for Circle Sport-Leavine Family Racing, Stewart-Haas Racing (replacing an injured Tony Stewart) and Tommy Baldwin Racing on a limited basis. Dillon married the former Haley Carey on Dec. 20, 2014. Find out more about Ty Dillon at www.tydillonracing.com.